This post is dedicated to my friends Chris, Jaclyn, Sandy, Leslie, Sherry, and everyone else who lives or works in New York City. They are true warriors! The time and effort required to simply move from one spot to another is exhausting but beyond that, it’s a great city. 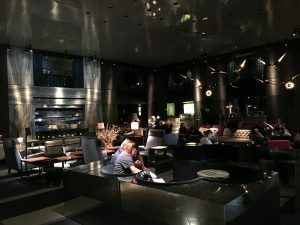 If you read my last post, you know it was filled with anxiety about what to wear, given the hip and trendy status of our hotel, just one block off of Times Square. (If you didn’t read it, just keep scrolling until you find it.) What we didn’t know ahead of time is that the lobby area is darkened at all times! I fretted for nothing. 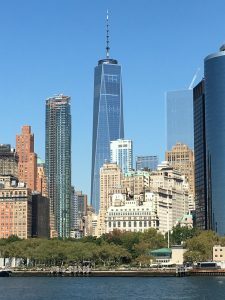 Our visit to the Big Apple was wonderful and we did accomplish lots of fun things, and when thinking what I’d write about, I decided to focus on tips for the first time visitor. Though I’d been to NYC before, it was always associated with work when I’d have a free afternoon, or I’d extend the trip by a day. This was the first time I went exclusively to experience more of the sights and sounds of the city. So while we visited the 911 Memorial and Museum, relaxed on the Staten Island Ferry, walked the Brooklyn Bridge, toured the Tenement Museum, strolled the Highline Park, ate a juicy pastrami on rye at Katz’s deli, circled Manhattan on a boat, hopped on and off a double decker bus, and laughed, clapped and cried at three different theater productions, I made some notes to help the New York Novice. Break the bank on your hotel and stay as close to the action as you can. It will make getting around so much easier. Just remember, the bathroom counter space you enjoy at home? It’s not gonna be there. Space is a premium, so plan accordingly. Don’t expect a complimentary waffle station, yogurt, and muffins to be available for your breakfast pleasure, or even a coffee pot in your room. This is New York City and they don’t need to do that to lure you in. Save money by splitting meals, unless food is a focus for you. In one area, I could find an Olive Garden, Ruby Tuesday’s, Applebee’s and TGI Friday’s. Ignore those, and experience more authentic cuisine (like cheesecake! ), and use this time to try something different. Food fact: you can eat at the United Nations café or dining room. Check their web site for more info. Who knew they would have let us in, if only we’d asked ahead of time? Spoil yourself and see a show or two. Buy your tickets (Broadway and Off Broadway) at reduced prices on the day of the show, at the TKTS stand in Times Square. Tickets for most shows will be available and discounted by 50% on the day of. Just have a sense of what you’d like to see before you get there. Leave the kiddos at home. Nothing more to say on that. Teens ok, but trust me, you do not want to be pushing a stroller around Manhattan, or trying to hang onto a six year old’s hand while crossing the street with a thousand other people. Plus really, you don’t want to have to explain some of what you’ll see. Walk with a purpose. Imagine the sidewalks are like a freeway. You wouldn’t just stop in the middle of a lane and look around. Pull over to the side to check your phone, or whatever it is you need to stop for, otherwise, expect shoe marks up your backside. Take your own ear buds to use on the hop on hop off tours. You will actually be able to hear the commentary, and they will fit and stay in your ears. Tackle the subway. It is easy, efficient, fun (unless you insist at going during rush hour) and I was astonished at how clean the cars were. We took it several times, and every ride was a great experience. 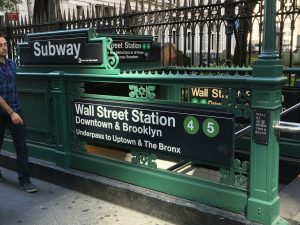 Now here’s the deal if you’ve never taken the subway – don’t just know what stop you want, but know what the end of that line is. That’s the clue as to which direction you want to go, otherwise, you could end up going uptown when you want to go downtown. 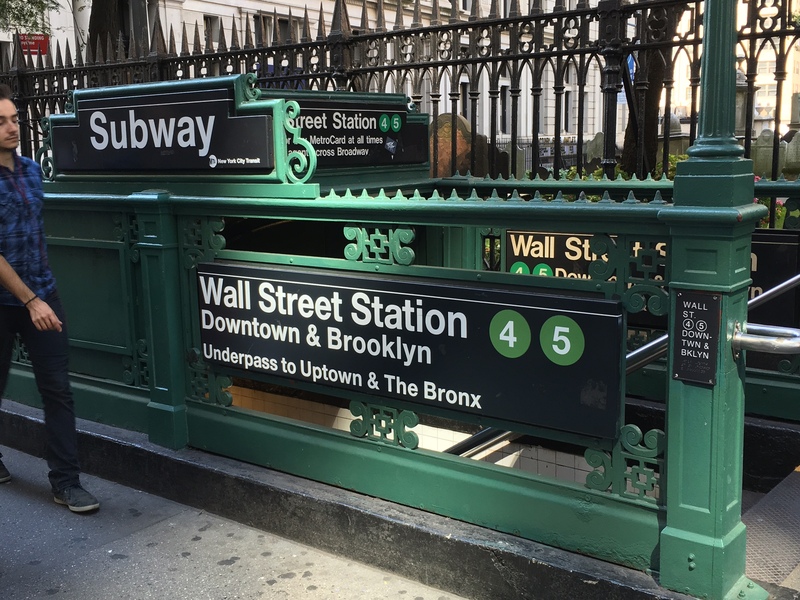 Another tip – know which corner you want when you get off the subway, then follow the signs to that exit. You can walk blocks underground and you don’t want to walk in the opposite direction. Don’t worry a second about what you’ll wear. I cannot stress this enough. Make sure someone in your group has good orientation skills, like being able to tell north from south without looking for moss on a tree, or east from west without seeing the sun because the massive buildings will be your foil. Without this person, you will send your Fitbit into orbit. This is probably the most important tip. Hail a taxi on the side of the street going in the direction you want. Sounds logical but unless you missed #10, it may not be. Lastly, if your knees, back, hips, feet, or lungs aren’t up to the task, stay home and watch movies and documentaries set in the city. You’ll save yourself a boat load of cash. Yet there’s nothing like seeing the Statue of Liberty and remembering what a welcome sight it has been for hundreds of thousands of people seeking a better life. Then you’ll be thankful for the life you have as well. So these are my tips. What do you have to add? 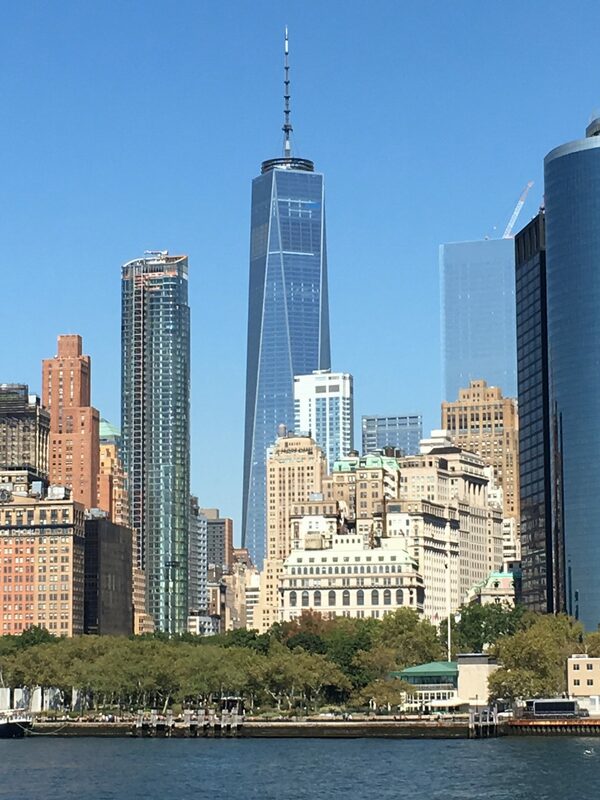 My daughter went to NYC for her 8th grade class trip. She fell in love and is dying to go back. Love these tips!!! 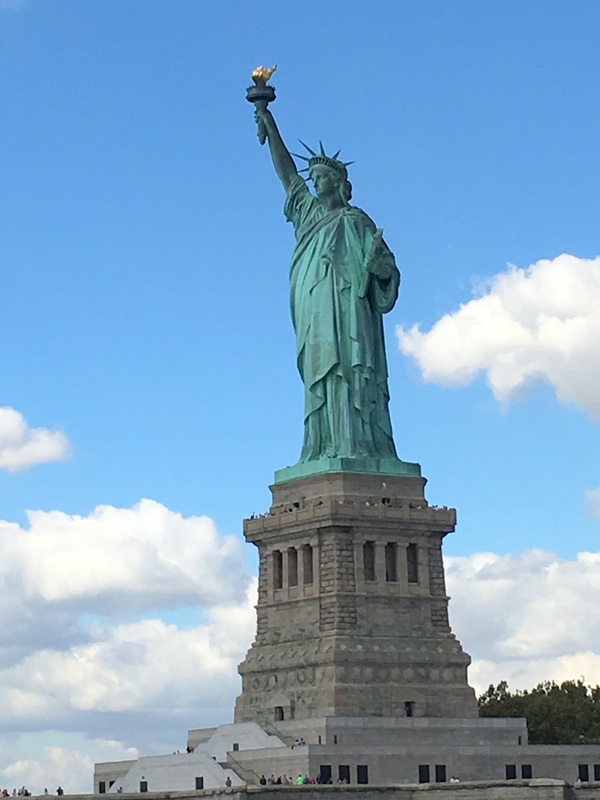 Her impression of the Statue of Liberty was she couldn’t believe how small it was. So glad you enjoyed this and I’m excited your daughter had fun. I’m just glad I wasn’t a chaperone for a group of 8th graders. Thanks for the comment. Pam, thanks so much for the great tips. It sounds like you had a great time. 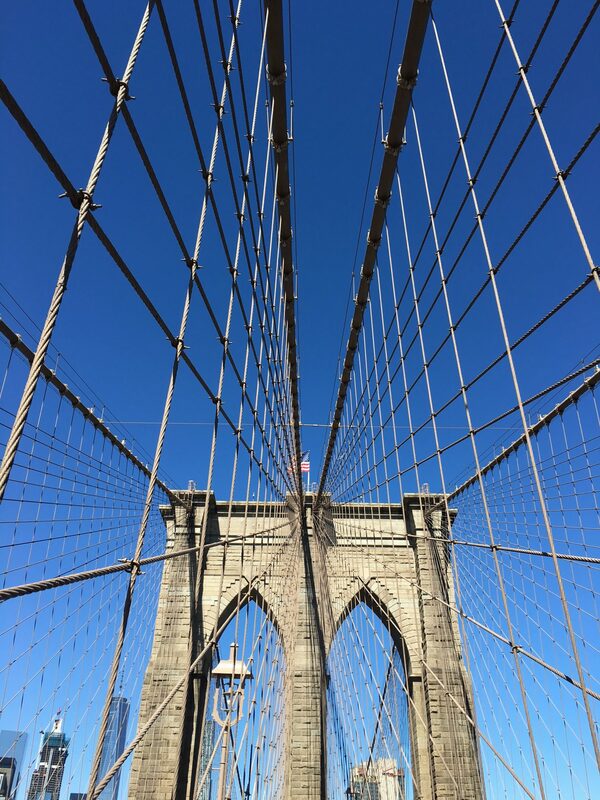 I’m ashamed to admit that I’ve been to most of the major cities in Europe, but never to the Big Apple. I think I’ve always been intimidated by the masses of people and the sheer size of the place. But I’ve been thinking about a visit and I’m sure your tips will be really helpful. I was exactly the same way and decided I needed to explore it. It was fun – just little bites at a time. No one will ever see “all” of NYC. Go, have fun and let me know how you enjoyed it. Thanks for the read and the comments! WOW, I have owned a trave agency for 36 years and have traveled to NYC many times. This is one of the best “tip list” I have read. Thank you for letting me be a small part of the trip. This article and the enthusasiam for the trip gives me more that I gave you. Keep on writting and travelling. PS What other shows did you see? Thanks, Joy. Please feel free to use and share these tips with others. And thanks for visiting and taking the time to comment.